Go for a jaunt from Brisbane to Main Beach to see Sea World Theme Park about 1h 30 min away. 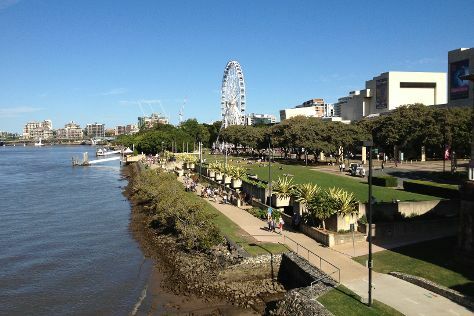 The adventure continues: walk around South Bank Parklands, have fun at Psychic Readings Twin Featherz, find something for the whole family at Wheel of Brisbane, and get great views at Mount Coot-tha Lookout. To find more things to do, maps, ratings, and tourist information, go to the Brisbane road trip planning site . If you are flying in from Malaysia, the closest major airports are Brisbane International Airport and Gold Coast Airport. Expect a daytime high around 32°C in March, and nighttime lows around 23°C. Finish your sightseeing early on the 30th (Sat) so you can travel back home.